The third Oasis class ship which is currently under construction has now been named Harmony of the Seas by Royal Caribbean. The cruise line has not yet released much details on the mega ship but what we do know is that it will be larger the two other vessel already in the same class. Harmony of the Seas will be 227,000 gross tons which is slightly larger than sister ships Oasis and Allure of the Seas. With a passenger capacity of 5,400 it’s being built at the STX France shipyard in St Nazaire and is expected to be completed by April 2016. Drum roll please…Royal Caribbean’s newest ship to be named #HarmonyoftheSeas. More details to follow soon! 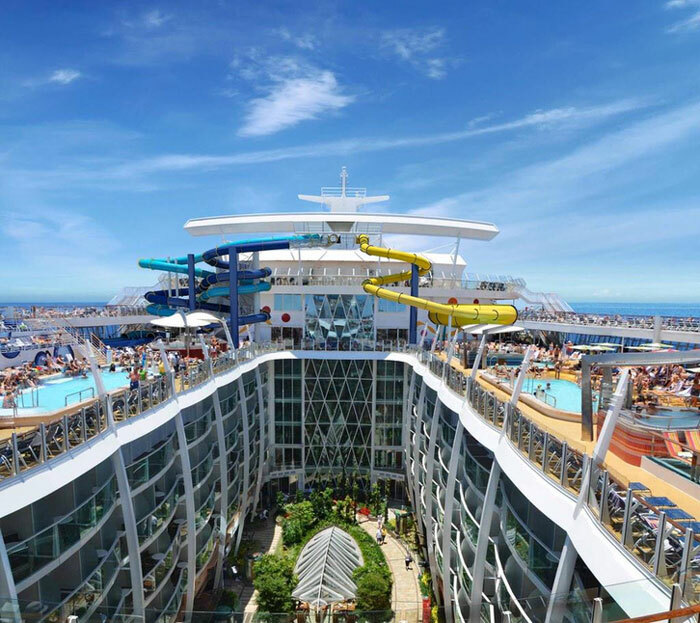 Harmony of the Seas will feature three thrilling water slides in located in the sports zone on the Harmony’s open deck. The slides will be three decks high with an overview of the Central Park neighborhood. This is just a tease from the cruise line for now and more details will be released over the coming months. 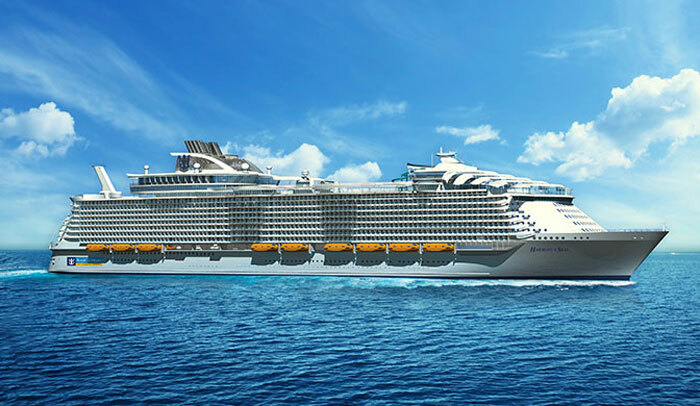 Deployment and itinerary details have yet to be released but Royal Caribbean usually build up new vessels well using renderings, videos and of course innovations.